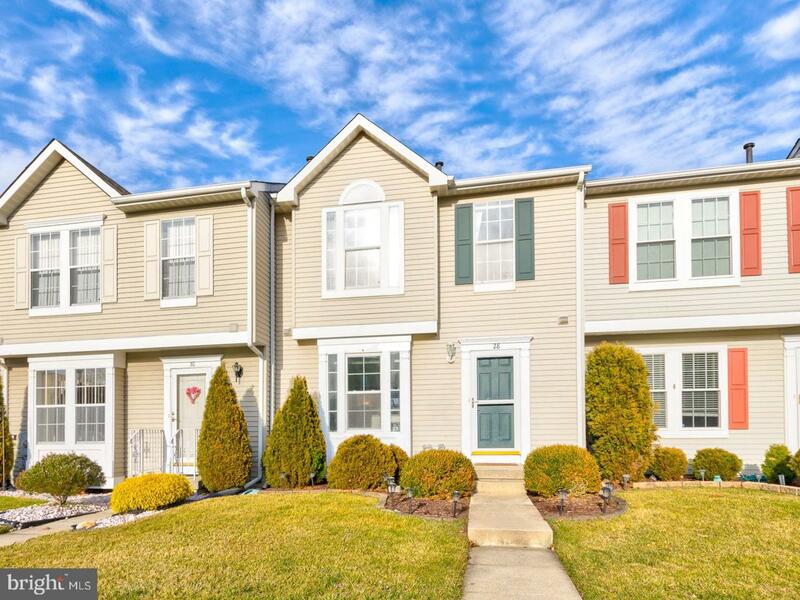 Enjoy the best of Valley Brook in this Glen Eare townhome. As you approach the nicely landscaped front you will be pleased to see this updated town home. The foyer has hardwood floors and hardwood steps leading to the second floor. The crisp white kitchen has slate 12x12 tile that complements the cabinets and counter tops. The solid surface gray counters have a deep double sink with updated nickel faucet. 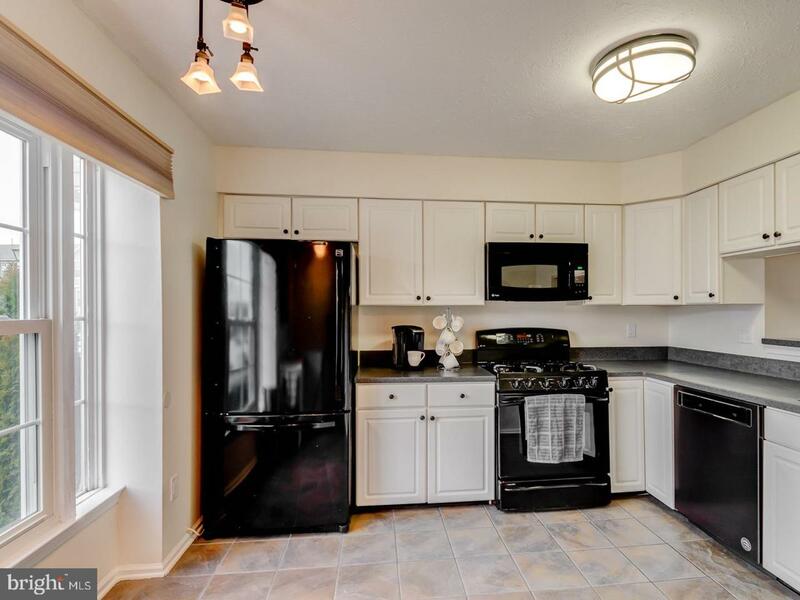 The black kitchen appliances include a gas stove, a dishwasher and French refrigerator. 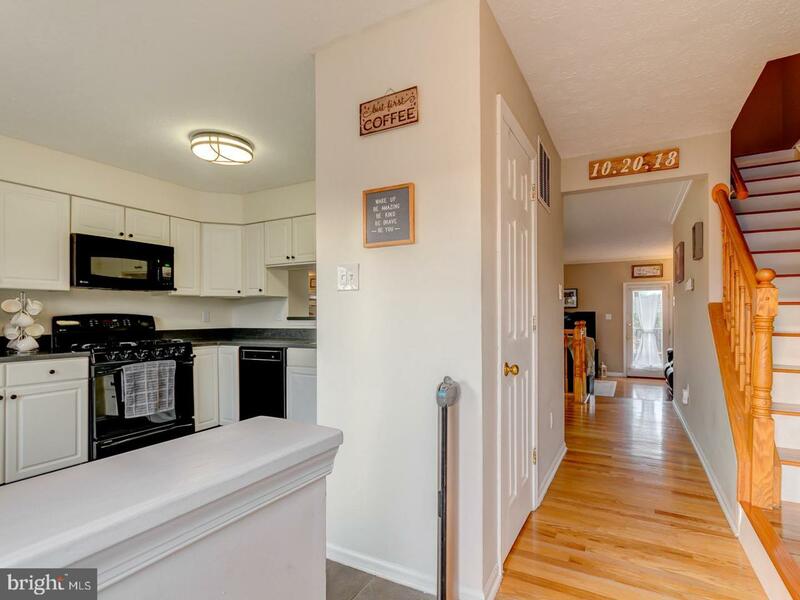 The kitchen is nicely sized and can accommodate a kitchen table. 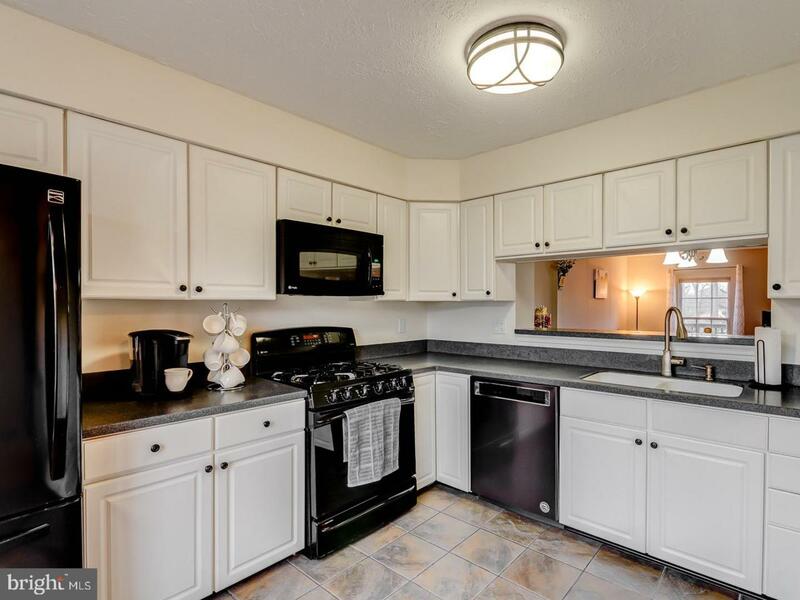 This bright kitchen has a large front window with transom windows adding lots of natural light. The kitchen opens to the dining room for ease of entertaining. The powder room has white cabinets with bronze accessories. The hardwood floors extend through the living and dining rooms. The dining room is generously sized and can accommodate a large table. The walls are freshly painted in today~s decorator color. The crisp white baseboards and crown molding accent the paint. The great room is open to the dining room and has hardwood floors and a French door leading to the deck. The master suite has hardwood flooring, crown molding an updated ceiling fan and has been freshly painted. The master bath has white cabinets,12x12 ceramic tile floors and a ceramic tub surround with a marble listello. The beadboard trim is a nice accent to the bath. The other 2 bedrooms are neutrally decorated and have a wood look laminate floor. All the bedrooms have ceiling fans. The main bath is adjacent to the bedrooms and has ceramic flooring and tub surround and a white vanity with polished silver accents. The headboard trim enhances the bath. The full finished walk out basement is a world of its own. Extra ceiling height, recessed lighting and neutral carpet. There is plenty of room for a recreation room, gym and office area. The half bath in the basement has ceramic floors and a white cabinet base. Walk out to the flat backyard from the basement. The deck off the great room is a great place for outdoor entertaining. This town home has so much to offer. The seller is offering a one year home warranty to the buyer. This home is movebin ready! Enjoy all that Valleybrook has to offer, pools, clubhouse and play areas.